Move right in to this newly sided, freshly painted 4 bedroom, 2 bathroom home located on an oversized lot in the delightful Mayfair neighborhood. Major improvements were recently made including a new tear-off roof, new central air conditioning, as well as new electrical wiring, hot water tank, plumbing fixtures and stove. 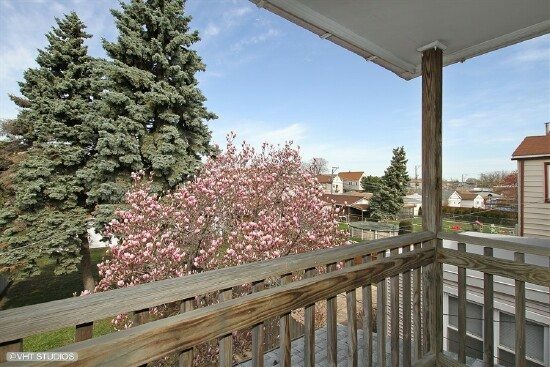 You’ll enjoy living in this great house on this lovely tree lined street or spending time in the gigantic backyard. 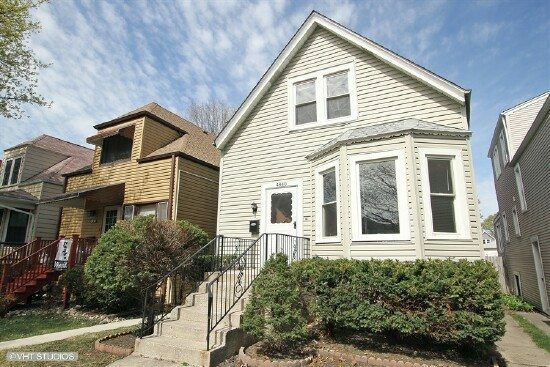 The location is terrific and close to expressways, Metra & CTA. 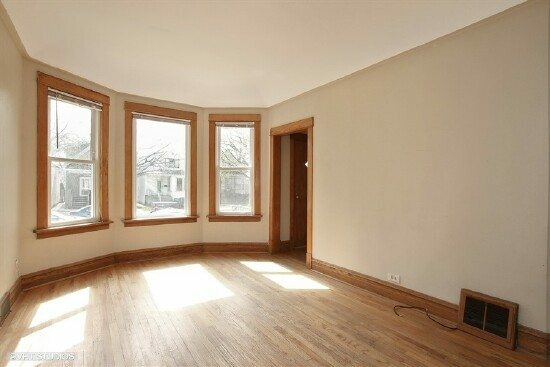 Large windows, original oak hardwood floors and freshly painted. 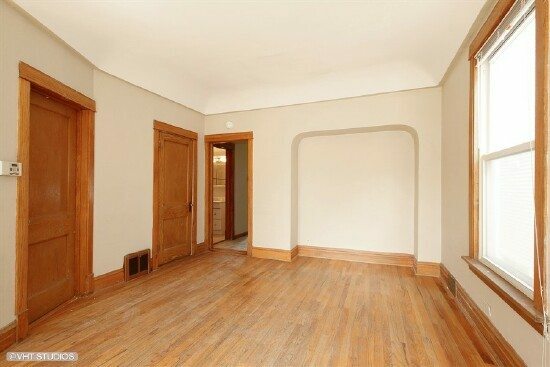 This area is large enough for a full dining set. 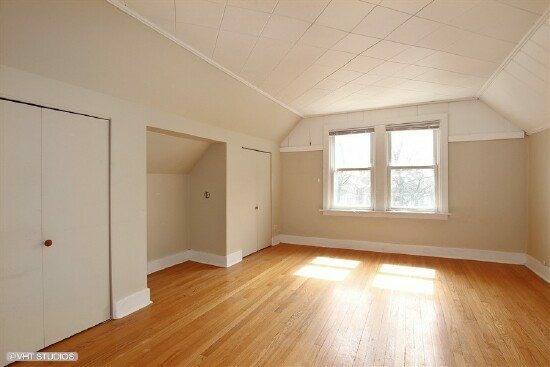 The hardwood floors continue through this area along with a large window for added sunlight. 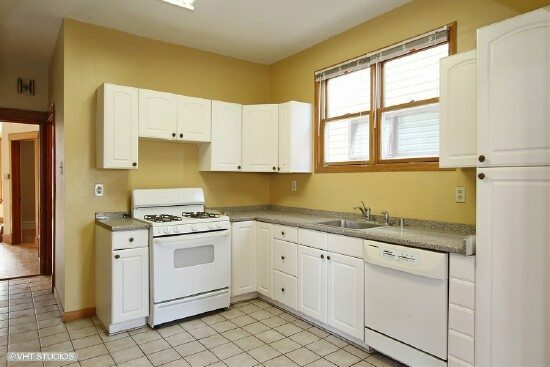 White cabinets and a new stove along with white tile make it easy to make this kitchen your own. Have your morning coffee while overlooking the huge yard from the breakfast room (10 x 16) located right next to the kitchen. 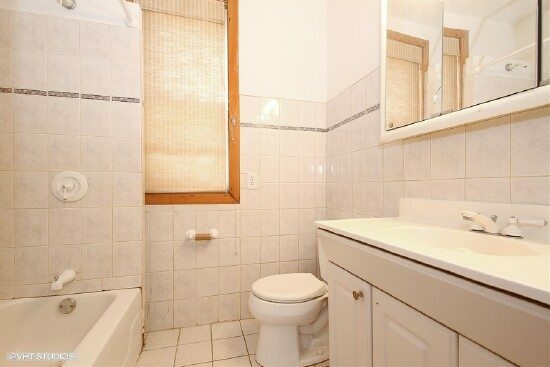 Full bathroom located on the main level with white neutral tiles throughout. 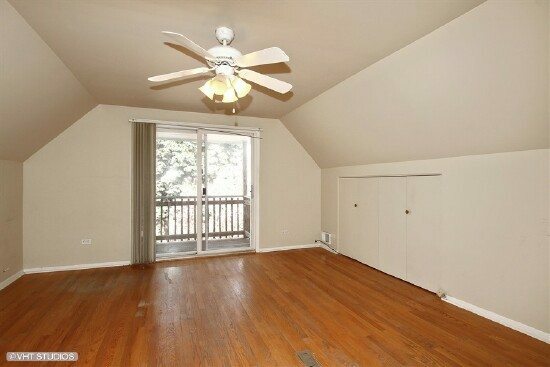 Nice size room that faces east for great sunshine with a large storage closet. Faces west and has a deck with glass sliding doors that overlooks the lovely back yard. 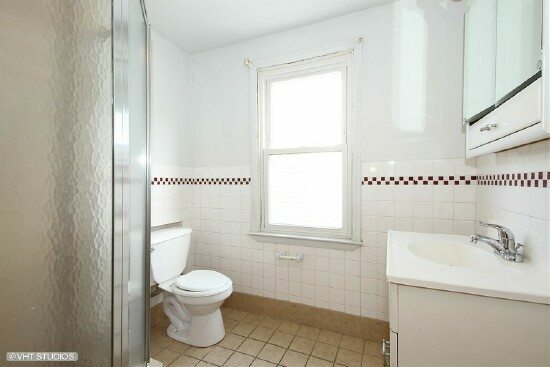 Full bathroom located on the 2nd floor – nice bright room with a neutral vanity and walk in shower.